Home » Blog » Shoutcast directory listing is not free anymore but we provide it for you! Recently, Shoutcast directory listing is not free anymore. From the past, creating an authhash was quite simple. But if you try it now, you will be redirected to SHOUTcast website instead of Radionomy (RMO). They will be offering you paid services to list your radio station in the shoutcast directory. This recent development is due to the fact that Radionomy, a Belgian company bought Shoutcast and Winamp sometime in 2014. But their decision to make the directory listing private for paid users only is probably just this year. As long as you have a plan from them, your Azuracast radio station can advertise to YP Directories (Public Station), better known as the Shoutcast directory listing. Alternatively, Internet Radio Cast on VPS can advertise multiple radio stations but for our VIP Reseller packages only. 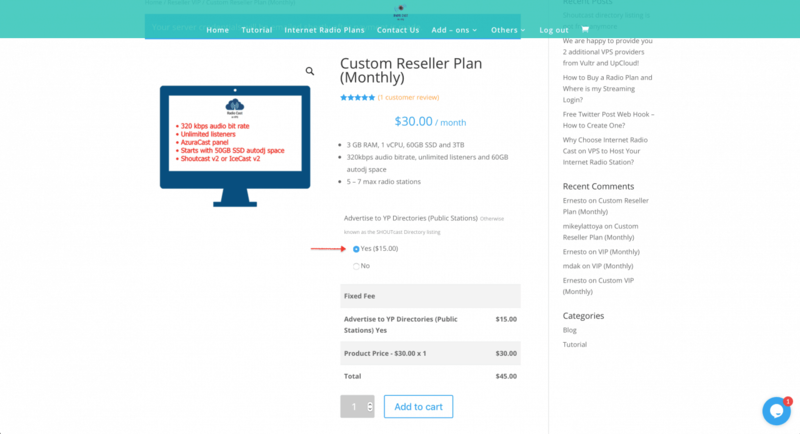 When buying a Custom reseller plan, optionally choose yes on the radio button option. And you can now avail the listing for just $15 month. 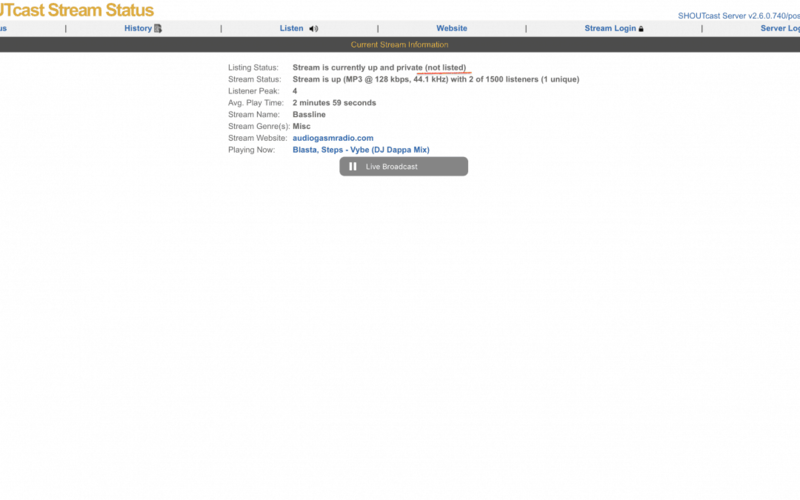 You will have 5-7 stations with a valid authhash for your SHOUTcast directory listing for each station. You can actually save around $50+ per month for listing individual stations!